It’s weird how a natural finish only really works on hollows, semi-hollows, V’s and explorers. 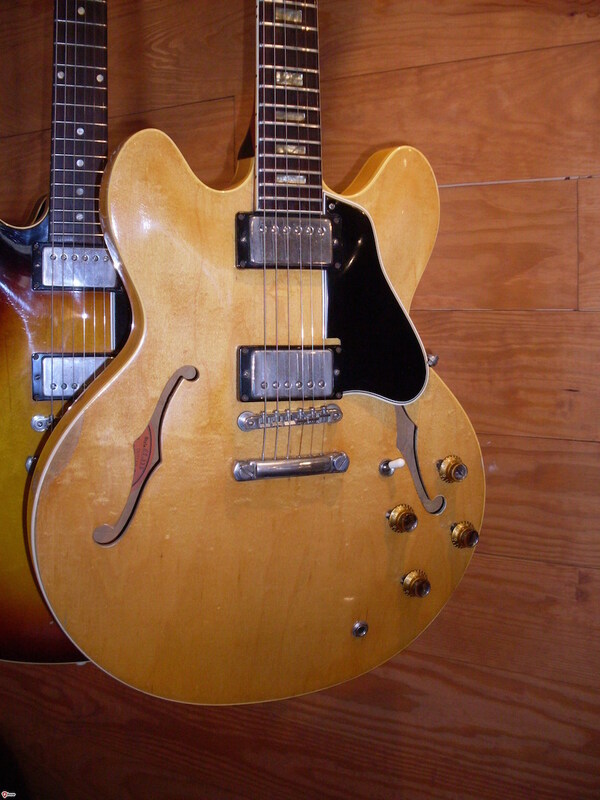 I mean a natural finish LP or SG would just be odd…and fender guitars in natural finish have always looked bad to me. Maybe it’s just me? Any pics of the blonde ’63 335 around anywhere? Actually, those WERE the ones I was thinking about. Actually, it’s OK because my wife is a redhead. 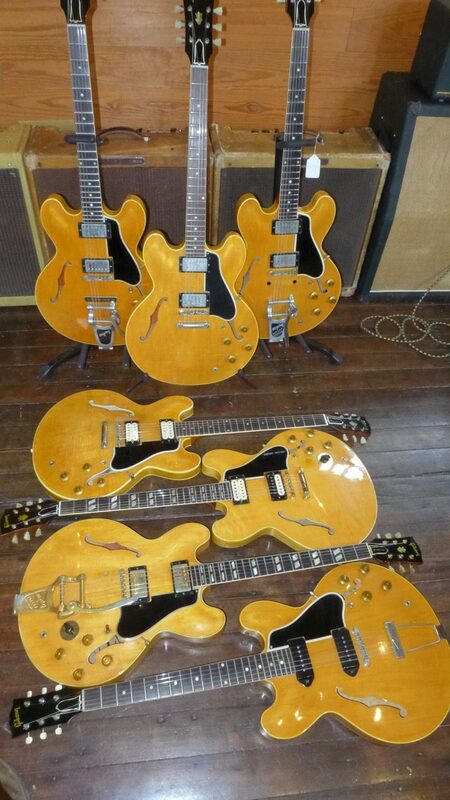 Great looking guitars! I really like the variation in fading among these 6. 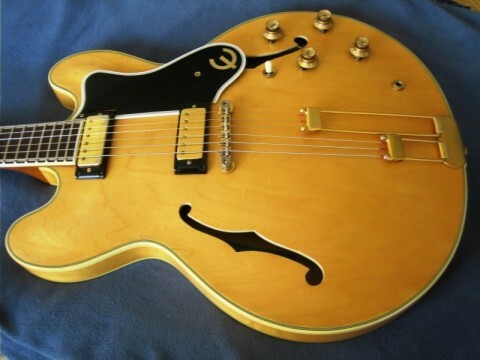 Here’s a photo of my old blonde ‘62 Epi Sheraton, long gone. 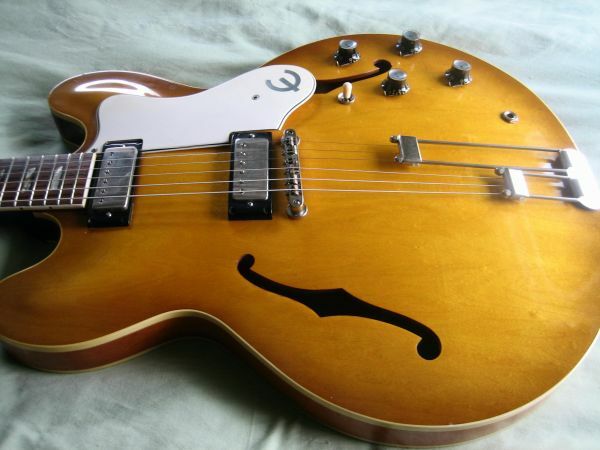 Here’s a photo of my current ‘62 Epi Riviera which looks blonde but it ain’t! Just a very light Royal Tan finish y’all! I’ll post a photo of the 63. Man, that blondie ‘63 is the bee’s knees ain’t it? !